Ideal for sprinkling a touch of modern style to the living room or bedroom, the bright blue tones of the Alpi cushion stand out in any setting and are perfect for adding life to the dreariest of interiors. 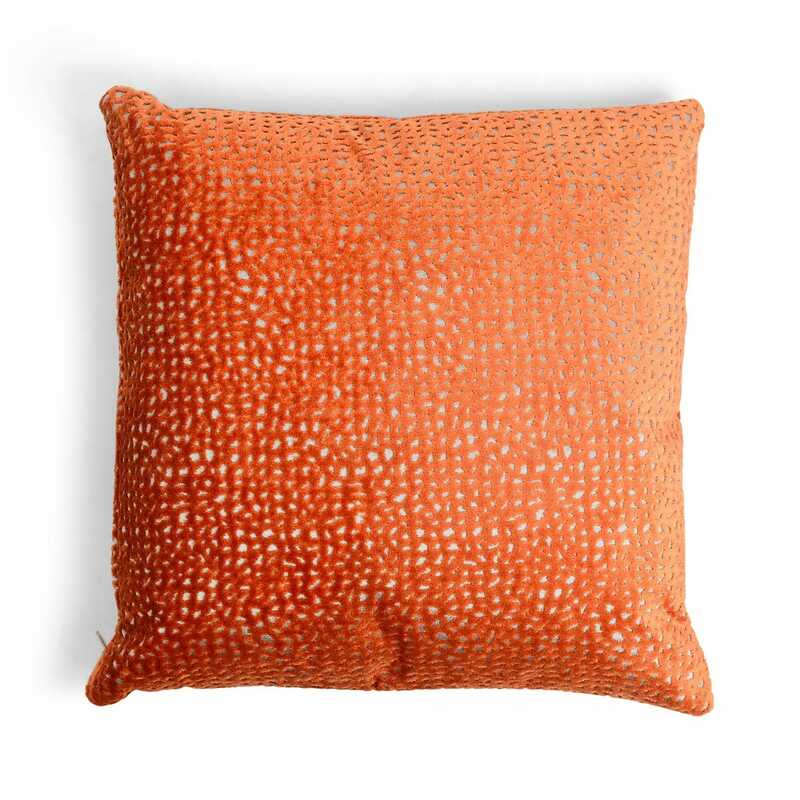 A distinctive dotted pattern has an almost velvet-like aesthetic that feels soft and inviting to the touch – crafted from a viscose blend with a soft 100% duck feather cushion inside. The Alpi cushion is most effective used in groups, or mixed and matched with alternative shades. Lovely cushion and goes well in our family room.